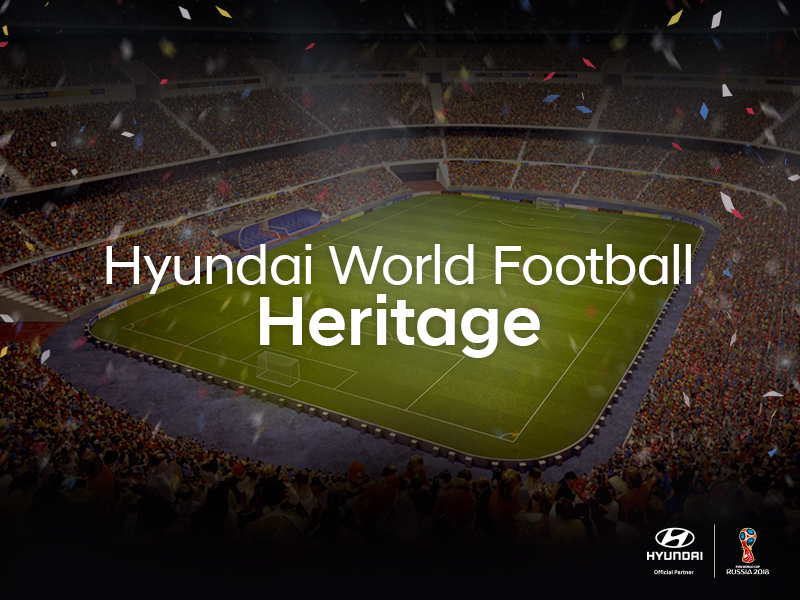 April 19, 2018 – Hyundai Motor Company, South Korea’s largest automaker and proud Official Partner of the 2018 FIFA World Cup Russia™, is pleased to announce the launch of the “Hyundai World Football Heritage” contest in the lead up to world’s most prestigious football event. Legendary football stars Thierry Henry, Lukas Podolski and Cafu also took part in celebrating the fan contest, starring in a series of viral videos to pay homage to their respective national teams’ heritage. These videos playfully introduce cheering gears from the past, when the players were still active on their national teams. International football fans are given the opportunity to attend the most coveted football match in the world, the final of the 2018 FIFA World Cup Russia™. In addition to flights and accommodation, this once-in-a-lifetime experience is further enhanced as fans heritage and cheering cultures will be exhibited in Hyundai Motorstudio Moscow selected from the FIFA World Football Museum. The contest consists of online entry submissions, and an interactive website announcement displaying each of 32 qualified country’s best online entries. For more information on how to enter, visit ‘worldcup.hyundai.com‘. For the 2018 FIFA World Cup Russia™, the company has developed a new program accessible via a digital platform, which will connect fans and enhance their experience during every moment of the global football event. Previously, Hyundai Motor established the Hyundai Fan Park for everyone to enjoy the event by cheering his or her national football team, but from this year, the company will reach to a lot more global fans with a good use of digital platforms and SNS. In addition to Hyundai World Football Heritage, Hyundai Motor will provide test drive events as well as slogan submission contests to give the opportunity to share their passion and experiences toward the World Cup event. 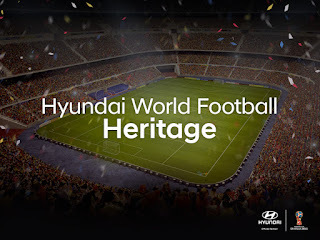 Entries can be submitted via posting their World Cup related stories with hashtags (#myfootballheritage) in SNS channels or through Hyundai Motor’s official webpage (worldcup.hyundai.com) until May 13 by football fans from all over the world. The 32 winners of the contest will be revealed on the website later on, earning the chance to visit the final match of 2018 FIFA World Cup Russia™. Furthermore, in collaboration with the FIFA World Football Museum, selections of Hyundai World Football Heritage program will be installed at the Hyundai Motorstudio Moscow during the 2018 FIFA World Cup Russia™ period. Hyundai began its association with FIFA in 1999 and will continue to be a top-tier sponsor of FIFA as the Official Automotive Partner until 2022.